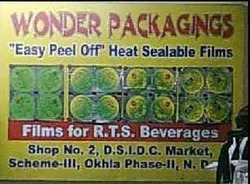 Incepted in 1980, Wonder Packagings is engaged in manufacturing, exporting and supplying easy peel off film, finished packaging products, packaging plastic products, heat sealable films, heat sealable lids, packaging vacuum pouches, aluminum foil covers,plastic packaging foil, heat sealed films, aluminum packaging foil and packaging heat sealed films. The packaging products, materials have wide application area comprising of FMCG sector, pharmaceuticals and cosmetics industry. We are reputed company in the world of packaging material and with the assistance of our advanced technology, we have been able to achieve excellence and perfection in designing and manufacturing products for industrial, domestic and commercial purposes. Our range of finished packaging products, material products are manufactured as per the international norms and regulations. 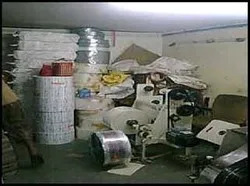 Under the able and efficient guidance of our Owner– Mr. Anoop Mukim, we have carved a niche for ourselves in the last three decades and have become one of the leading manufacturers, exporters and suppliers of finished packaging products, material. His vast industrial experience and sharp business acumen is instrumental in our phenomenal success throughout these years. Established in 1980 as a partnership firm, Wonder Packaging's have been engaged in manufacturing and supplying packaging materials in plastic and aluminium, i.e. ; plastic containers in /-1.D.P.E., P.V.C., Polypropylene and flexible printed foils and laminates in roll and pouch form. German Lip/ American Lip cut for seals for sealing on different types of containers under the brand name of Sealing Solutions. 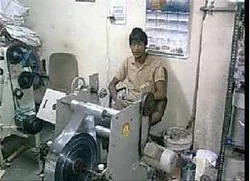 We are in the manufacturing of seals and are catering mineral water, milk, cosmetics and confectionery industry. Our seals are being used in sealing of HIPS cups for ice creams and milk products & curd, PP glasses for sealing mineral water, /-IDPE jars for ghee and pharmaceuticals and P.P. containers for cosmetic and petroleum products and PET Jars in confectionery and edible and non edible oil industry, with a vast range of different sizes and shapes of seals to suit every type of Blow moulded, Thermoformed, Vacuum Formed & Injection Moulded Containers. We manufacture special seals for online automatic filling and packing machines, which carry seals pneumatically with pick and place technique. With years of industrial experience, we today have a wide client base in countries like India, Bangladesh, Oman, Dubai, South Africa and Nigeria. These meet the packaging demands of FMCG sector, pharmaceuticals and cosmetics industry. Designed and developed using advanced process technology these have gained wide recognition in the international and domestic market. Our team of experienced professionals has supported us in being one of the reputed exporters, importers and suppliers of finished packaging products, material and plastic ID cards. Our professionals work in close coordination with each other at different stages of production in order to ensure smooth and effective production of finished packaging products, material and plastic ID cards. Their main motto is to enhance the quality of the products and thereby, maximize the client’s satisfaction. Our dynamic sales team.are aware of the market demands and owing to their scrupulous efforts we have been able to build up a client base in countries like India, Bangladesh, Oman, Dubai, South Africa and Nigeria. You can Download our Brouchers from here ..